In Ed Gorman's comment on the previous post, he mentions his hardboiled buddies laughing at him for reading Agatha Christie. That brings to mind something that puzzles me a little. When did the mystery field become so balkanized? I started reading mysteries in the Sixties, and I read everything. The classic hardboiled stuff -- Hammett, Chandler, Ross Macdonald, John D. MacDonald, Mickey Spillane, Richard S. Prather. More traditional whodunits -- Ellery Queen, Rex Stout. British mysteries -- Agatha Christie, Dorothy S. Sayer, Ngaio Marsh, Margery Allingham. Spy novels -- Ian Fleming, Donald Hamilton, John Le Carre, Man from U.N.C.L.E. books, Edward S. Aarons. I read about rogues like the Saint and the Baron, I read about cops like Roger West and the guys from the 87th Precinct. I could go on, but you get the idea. I read just about everything there was in the mystery field . . . and it seemed perfectly normal to me. Now you got your hardboiled readers laughing at cozies and your cozy readers sneering at the hardboiled stuff, and for all I know people who read cat mysteries can't understand why anybody would want to read a dog mystery, and vice versa. I don't understand it. Give me a good story and some reasonably interesting characters, and I'm fine with it, no matter what the trappings might be. The only thing less understandable to me than people who read only one genre, or even one sub-genre, are the folks who read only one author. When I was running a used bookstore, more than once I had customers tell me that they read only Louis L'Amour books. And when they finished reading all of them, they went back and started over again. Now, I think L'Amour wrote some really good Western novels (TO TAME A LAND and FLINT are probably my favorites), but I can't even begin to comprehend spending the rest of my life endlessly rereading his books. There are probably people who read only Barbara Cartland or Edgar Rice Burroughs or Erle Stanley Gardner (to name three prolific authors at random). I tell you what, though, people who read only one author or one genre, at least they're reading, which makes them more and more of a rarity these days, so bless their hearts and more power to 'em, I guess. That's sure better than not reading at all. There's been some interesting conversation about reviews the past few days on the blogs of Sarah Weinman, Ed Gorman, Lee Goldberg, and Bill Crider. I thought I might as well weigh in with my opinions. For a long time, my books never got reviewed. My first novel was read by almost no one, and after that everything I did for a long time was published under pseudonyms or house-names. (At one point I had written eighty novels, and only one of them had my name on it.) However, as I started getting published under my own name, some of the books began to get reviews here and there. Most of them were good. Those I liked. Some were lukewarm, which were also okay but a little worrisome. A few were bad, and of course they bothered me. But not too much. In the words of Denny Crane, "I've had my heart broken plenty of times. Stings for a few minutes." Some of the readers who post reviews on Amazon do not like my books. Some of their comments have been so vicious I can almost feel the spit flying off the monitor screen when I read them. It's been said on there that one of my Civil War books is the worst Civil War novel ever written. Another review claimed that one of my World War II books was the worst World War II novel ever written. One reader said he couldn't find the words to describe how much he despised me and my books. Okay. Stuff like that is so over the top it's not that hard to ignore. Sure, you don't like to see it, but it doesn't mean anything. I'm more bothered by reviews that are little more than excuses for the reviewer to throw out some cute, insulting quips that were probably thought up before the book was ever read. The only review that really got me upset wasn't even for one of my books, but was directed at one of Livia's novels. The reviewer spent most of the review complaining about a particular plot point that she said wasn't explained in the book. Well, it most certainly was. I got the book down off the shelf and looked to be sure. This one thing that the reviewer said was not in the book (and the lack of it ruined the rest of the book, in her opinion) was right there on page so-and-so, lines whatever. That one still bothers me, because it tells me that the reviewer skimmed the book, at best, yet still felt qualified to condemn it in public. I've long said that the best review I ever got came from my father, who was not a man to pass out many compliments. After reading one of my books, he told me, "You know, there really wasn't a good place to stop reading in that book." I'll take that, any day of the week. I mentioned this axiom in one of the comments below, but it bears repeating for those who don't read the comments. "You never regret the books you buy, only the books you didn't buy." I got the outline done that I needed to write this weekend and am fairly satisfied with the way it came out. I have a little time before I have to send it in, too, so I can let it sit for a few days and then read over it, maybe tinker with it a little more before I get Livia to read it and see if it makes sense. I used to enjoy taking off and starting a book with just a concept and a general idea of where it was going, but these days I really need a decent outline before I start. I'm reading HOLLYWOOD NOIR by Jeff Mariotte, a novel based on the ANGEL TV series, which I watched regularly when it was on. I've gotten more interested in TV tie-in novels lately, thanks to the talk about them on Lee Goldberg's blog, and this is a pretty good one so far. Speaking of TV, earlier this evening we watched the first episode of YOUNG BLADES, which must have been pitched as THE THREE MUSKETEERS: THE NEXT GENERATION. This series is on the PAX network, and the last PAX series I watched was the truly terrible BONANZA prequel, PONDEROSA. But I love sword fights and swashbuckling, so I figured we'd give it a try. Boy, was it bad. Which is a shame, because there were some pretty good concepts buried in a lot of anachronistic silliness. At its core, the storyline concerns a group of young Musketeers in training investigating some sort of secret society dabbling in the dark arts. Played straight, that might've been pretty good, but the jokey, post-modern smugness of the humor just ruined it. I don't know if we'll watch any more episodes or not. I sort of doubt it. I was surprised and saddened to hear that Johnny Carson had passed away. The first late-night talk show I remember watching was Steve Allen's syndicated show in the early-to-mid-Sixties (which I liked a lot). I started watching The Tonight Show while I was in high school, probably around '68 or so. From then on, until Johnny retired, it was a fairly regular part of my TV viewing. I watched it all through college, I watched it at Livia's parents' house while we were dating, and we watched it after we were married in the various places where we lived. When one of us would ask, "You want to watch Johnny? ", we never had to ask, "Johnny who?" Although Johnny's low-key final show was good, I've always thought the real farewell was Bette Midler's gorgeous rendition of "One For My Baby", sung right to Johnny, on the next-to-last show. One of the most beautiful moments I've seen on television. Rest well, Johnny. You were a good friend to millions of people and touched their lives without ever knowing them. While poking around in the Nostalgia section at Half Price Books, I came across an Ace Double I didn't have: D-45, which consists of DEATH HITCHES A RIDE by Martin L. Weiss (who he?) and TRACKED DOWN by Leslie Edgley (who he? or she? ), which was originally published under the title THE ANGRY HEART (doesn't sound real hardboiled to me). Despite never having heard of either author, and despite the fact that the book was in good but not great shape . . . it was only a buck. The cover on the Weiss side of the book isn't bad, and you can't beat cover copy like "Corpse Cargo on a Highway to Hell!" Needless to say, this one went home with me. Lord knows when or if I'll get around to reading it, but by golly, I've got it if I do want to read it! Today is the 99th anniversary of Robert E. Howard's birth in Peaster, Texas (about twenty miles from where I'm sitting, as the crow flies). It's a long-standing tradition in Howard fandom to read one of Bob's stories and drink a toast in his memory on his birthday. I'll probably read "The Phoenix on the Sword", the first of the Conan stories. I'm not much of a drinker, though, so my toast will probably be made with diet root beer or some such. But I'll definitely be thinking of ol' Two-Gun Bob today. Following up on my Perry Rhodan post from a few days ago, there's an excellent comment below from long-time Rhodan reader and retired Lt. Colonel in the U.S. Air Force Joseph T. Norris, talking about his affection for the series and its co-creators, K.H. Scheer and Walter Ernsting, who passed away recently. He also mentions the website linked above, which is a great source of information, including synopses of current Perry Rhodan novels, for English-speaking fans. Today I took a look at my collection of the Ace editions of the early Rhodan novels and thought about reading some of them, but although I can see them on the shelves, I'll have to move some stuff to actually get to them. (Those of you who have 'way too many books, like I do, will probably understand what I'm talking about.) I do still plan to resume reading the series where I left off a few years ago, but it may take me a while to get started again. I'm still working on various revisions and still reading Bob Randisi's TURNBACK CREEK. I need to write an outline for the book-after-next, so I can go ahead and get it to the editor. I hope to get that done over the weekend, as well as finishing up my revisions. Link courtesy of Lee Goldberg. I had a good time looking at these covers and realizing how many of the books I already own. I'm in the midst of doing revisions on a couple of books. One of them which I finished recently is fairly tricky, because about fifty pages from the end I realized that what I had planned to do just wasn't going to work, so I had to make some major adjustments to the plot sort of on the fly. So now I'm not just polishing the prose for how it reads, I have to be sure that the ending of the book actually makes sense. Fortunately, Livia will be editing the manuscript after I'm done with it, so if I've fouled up too bad, she'll catch it. Meanwhile, I've finished my reading for the Spur Awards, although I haven't finalized my nominations list yet. But I can go back to reading what I want to, and first up is TURNBACK CREEK, the second book in Robert J. Randisi's Widowmaker series from Pocket Books. I read the first one, INVITATION TO A HANGING, last year and enjoyed it. So far this one seems even better. The Widowmaker is former lawman John Locke . . . or the Widowmaker is the specially designed revolver that Locke carries. Characters in the books argue about which one the name really belongs to, which is a pretty good gimmick. During a visit to Wal-Mart today, I found a GREATEST HITS OF JOHNNY RIVERS CD in one of the bargain bins. I like most of Johnny Rivers' songs (although I'm not a big fan of perhaps his most famous song, his cover of Chuck Berry's "Memphis"), but I really bought this CD because it has "Secret Agent Man" on it, and that's one of my all-time favorite songs. I played it today while I was working and felt a twinge of regret that I was born too late to have written spy novels during the big secret agent craze in the Sixties. No updates for the past couple of days because, again, I've just been sitting and writing for the most part. I do have one piece of very good news, though: my novel DUST DEVILS has sold to PointBlank Press, the fine folks who did such a beautiful job with their recent reprint of my first novel TEXAS WIND. DUST DEVILS is set in Texas, but that's about its only resemblance to TEXAS WIND. This new one is a contemporary crime novel pretty much unlike anything else I've done, and it was great fun to write. I'm excited that it's found a home, and such a good home at that. PointBlank has a pretty full list, so it may be a while before DUST DEVILS appears, but I'm looking forward to it. Word tonight via the Space Opera Yahoo group that Walter Ernsting, co-creator of the long-running German science fiction series Perry Rhodan, passed away earlier today. 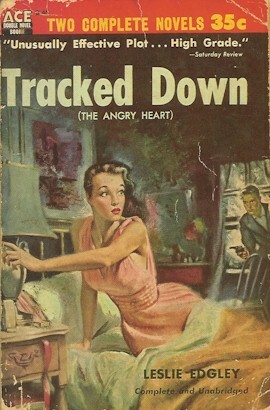 Ernsting wrote many of the early novels, under his own name and the pseudonym Clark Darlton. The Perry Rhodan series started in Germany in 1961 and is still being published. According to the official website for the series, over 3000 Rhodan novels have been published, and evidently the series is still going strong. Probably, though, most of the people reading this blog know Perry Rhodan, if at all, from the American reprints published in the Sixties and Seventies by Ace Books. The covers, at least starting out, were by Gray Morrow and were certainly eye-catching. I bought the first three volumes in the reprint series when they came out and read through them quickly. Each book reprinted two of the German novels, which were about 25,000 to 30,000 words each. The editor of the series was Forrest J Ackerman, and I believe the translations were done by his wife Wendayne. Though the stories were set in the United States and the hero was an American astronaut, no real attempt was made to American-ize the prose, so the result was an odd, sometimes awkward style. That didn't really matter to me then. The stories, which concerned the discovery by American astronauts of the remnants of an alien civilization on the moon, quickly turned into the sort of vast, sweeping, world-destroying space opera that I ate up with a spoon. But after reading the first few volumes, I sort of drifted away from the series. After all, there were a lot of other things being published around that time that I wanted to read: Doc Savage, Conan, the Saint, hordes of comic books . . . and that only scratched the surface. Perry Rhodan got left behind. Some years later, I decided on a whim to collect the rest of the Ace series. It wasn't too hard, and soon I had hunted down all the English-language Perry Rhodan books, over a hundred in all. I even had the subscription-only chapbook editions published after Ace dropped the series. I skimmed through the ones I had read before and then started reading the others in order. I made it about a fourth of the way through the series before I stopped. It wasn't a conscious decision; I just didn't get around to reading any more of them. But I still have all the books, and sometimes when I see them on the shelves, I think that I'm going to read some more of them . . . one of these days. So rest in peace, Walter Ernsting. I enjoyed your work, and so did a lot of other people. Another website devoted to Mike Avallone and Ed Noon, this time on Kevin Smith's excellent Thrilling Detective site. That was how Ed Noon, the private detective who was Mike Avallone's most famous character, usually referred to his office. I think this website was put together by Avallone's son David. The most intriguing thing about it to me is the mention of unpublished Ed Noon novels that may be available. I'll have to look into that. It occurs to me that I haven't written much lately about what's been going on in my life. Today we took our dogs to the vet to get their vaccinations and heartworm medication. We have three: an extremely smart Chihuahua/Doberman mix; a scruffy but lovable miniature Schnauzer; and a big galoot of a Labrador/Golden Retriever. All of them have appeared as characters in various books I've written, as have some of our other pets over the years. Taking them all to the vet at the same time is a big job, requiring a degree of planning only slightly less than D-Day. Once we got there we spent a considerable length of time in a small examining room. Three humans and three dogs in a small space is not a good idea. But everything went well medically. The Schnauzer, who is the oldest of the three, has a slight heart murmur, but the doctor said it was nothing to worry about at this point. We were all happy to get home.
" . . . no matter what he wrote, you could spot that style after three or four paragraphs. If nothing else, his voice was unique, almost psychotically so. I don't say any of this in a demeaning way believe it or not. I had an inexplicable affection for him as a guy, though he constantly whacked Marty Greenberg and me in print for not publishing his various rants. He frequently addressed his letters to us as "The Boys From Brazail," which was hilarious at first but got tiresome after a couple of years. I wish his later years would have been happier. He seemed aggrieved 24/7. He faced the same kind of perils and snubs that most of us mid-listers do but I can't say he handed them terribly well. He dealt with them in letter columns in a sad and frenzied way that always made me wish--and as a lifelong depressive, I know whereof I speak--that somebody had gotten him to a doc and gotten him medicated." As somebody who knew and corresponded off and on with Mike for fifteen years, all I can do is agree with Ed. Mike was a talented but often sloppy writer who aggravated most of the editors he worked with to the point of utter frustration, according to the stories I've heard from those editors. And yet, many of them still speak of him with affection. They say things like, "Mike was . . . a real character." And it's not just a matter of them not wanting to speak ill of the dead, because they talked about him that way while he was still alive. He could be very generous and big-hearted. I was just starting out in the business when I started corresponding with him, and he was always encouraging in those days. Later, the doom and gloom set in, and he made a lot of predictions about how there were too many mergers in the publishing business and how it was going to damage the mid-list, and darned if he wasn't right about that, at least. He burned enough bridges that some people probably hated him, but I never could. During the last few years of his life, after he moved to Los Angeles, he found some work as an extra on various TV shows. I used to look for him in episodes that he'd told me he worked on, but I was never able to spot him. I do, however, have a videotape of his appearance as a guest on the syndicated version of TO TELL THE TRUTH in 1981. Only one TV station in Texas ran that show, and it was in Austin. So the day Mike's appearance ran, I loaded up my VCR (no small feat in those days when VCRs were large and heavy), drove to Austin, rented a motel room, and taped the blasted thing. Seems like an awful lot of trouble now, but I was willing to do it then, for the guy who wrote that Man From U.N.C.L.E. book I loved so much. "Your post naturally makes me curious about your own TV tie in work. And how much latitude were you given on the WALKER novels as far as delving into the backgrounds of the characters?" As best I remember, nothing was ever said about that, but the plots I came up with didn't really require any background. If the series had continued beyond three books, it's quite possible the question would have come up, though. Gordon Dawson's main concern seemed to be that I use the same sort of plots they used on the TV show and not accidentally duplicate anything they already had in the works (which actually happened once). I'm sure if I had written something that contradicted the way the characters were established, though, I would have heard about it. My post a couple of days ago about the Diagnosis Murder novel I read, plus the comments from Lee and Bill, made me think some more about TV tie-in novels. I won't pretend to be an expert on this particular sub-genre, but I've noticed something in the more recent ones I've read: there's very little physical description of the regular characters and not much background about them, either. This is particularly noticeable in the Star Trek novels I've read. The reader is expected to know what Kirk and Picard look like, as well as who they are and many of the details of their characters, before they ever read a word of one of the novels. Which means that somebody who picked up a Star Trek novel without ever seeing an episode of the TV series might have a hard time figuring out who these people are and what they're doing. I know, the odds of somebody reading a TV tie-in novel who's not already a fan of the TV show are probably fairly small, but it must happen sometimes. I think it probably happened more often in the past, when tie-in novels were commissioned before the TV series they were based on ever debuted, in some cases. Which means there were tie-in novels for series that didn't last very long, like THE OUTSIDER by Lou Cameron and JOHNNY STACCATO by Frank Boyd (Frank Kane). All this makes me think of the original King of the TV Tie-in Novel. Max Allen Collins probably has that title today, but in the Sixties it was Michael Avallone who turned out more tie-in novels (and movie novelizations) than anybody else. The first Avallone novel I ever read, in fact, was a TV tie-in: THE MAN FROM U.N.C.L.E. He also wrote novels for THE GIRL FROM U.N.C.L.E., THE FELONY SQUAD, HAWAII FIVE-0, MISSION: IMPOSSIBLE, MANNIX, THE PARTRIDGE FAMILY (some of Avallone's best-selling books, in fact, were Partridge Family novels), and probably other series that I'm forgetting at the moment. When I read Avallone's MAN FROM U.N.C.L.E. novel (bought brand-new off the paperback rack at Buddie's Supermarket) as a 12-year-old, I realized for the first time that a writer could have such a distinctive voice that his work can't be mistaken for anyone else's. And I liked that voice well enough so that for a long time after that, I picked up every Avallone novel I came across. Before that I read books for the characters (the Hardy Boys, Rick Brant, etc.) but paid little attention to who the author was. After Avallone, I was always more aware of who wrote what, even when there were pseudonyms and house-names involved. Of course, I didn't make it as a full-time writer just yet; that was still several years off and I wound up working at other jobs in the meantime. Fantastic Worlds moved and then grew into a chain of successful comic book stores. Bob Wayne wound up selling the stores and going to work as an executive for DC Comics in New York, and I believe he's still there. The Fantastic Worlds stores are all gone now. I bought my comics at other stores over the years and finally stopped buying them several years ago when I realized I didn't have the time or space for them anymore. (I still buy and read trade paperback reprints of the old stuff, though.) I'm prone to attacks of nostalgia, and when I drove by that old shopping center where Fantastic Worlds started out, it really took me back and I knew I had to do a little reminiscing. I wouldn't want to live in the past . . . but I do like to visit there. I wanted to take a break from my Spur Award reading and read something purely for pleasure, so I picked up a copy of THE SILENT PARTNER, one of Lee Goldberg's novels based on the Diagnosis Murder TV series, which he wrote and produced for many years. Now, I'll admit that I was not a regular viewer of the TV show, but I saw quite a few episodes and enjoyed them. Lee's book is even better because in a novel there's room for more complicated plots and because the author doesn't have to worry about things like a budget and shooting schedule. THE SILENT PARTNER gives the reader not one case but two: the search for a serial killer outside the hospital, and a medical mystery combined with another murder inside the hospital. Both are well thought out, and Lee does a fine job of playing fair with the reader and providing all the clues. As could be expected from someone in his position, he has a thorough grasp of the characters, and he writes in a clean, well-paced style that's a joy to read. I may not have seen all the episodes of the TV show, but I suspect I'll wind up reading all of the Diagnosis Murder novels. Now, however, it's back to the Spur submissions. We watched this tonight on DVD, and I was of two minds about it. There were some things I liked, and one thing that really bothered me. The good stuff first: The movie looks great. As you'd expect from a Michael Mann film, everything is sharp and clean and lit in intriguing ways. The music's nice, especially in the jazz club scene. The story generates some genuine suspense. I really liked Jamie Foxx's performance. Just the right amounts of confusion and fear and ultimately courage and heroism. Now the annoying part: am I just deaf, or was Tom Cruise's dialogue impossible to understand throughout most of the movie? I kept bumping the volume up on the TV, but Livia and I both understood less than half of what he said. Sure, he looked great, but aren't actors supposed to talk so that you can understand what they're saying? We run across this a lot in current movies, actors mumbling and whispering and generally being inaudible so that we're always asking, "What'd he say?" Livia's been known to blame Marlon Brando for starting this trend, but I could always understand Brando in most of his films. Anyway, my verdict on COLLATERAL: worth watching, but turn the sound up and be prepared to be confused anyway. We watched this movie on DVD tonight, and while I had some problems with it, I found it fairly enjoyable overall. Plenty of spectacle (even though a lot of it was CGI) and some good battle scenes. Those battles suffer a little from being shot too close, but not as much as in some movies I've seen. For a movie with as much action as TROY has, though, there are stretches where it gets awfully talky. It's also a movie that doesn't connect well emotionally with the viewer until the end. For much of it, I didn't really care who won the battles and didn't sympathize with any of the characters except Hector and Odysseus. (It didn't help that I couldn't get the Simpsons version out of my head -- I kept hearing Ned Flanders saying "O-diddly-ysseus".) But in the end I thought it was okay. Earlier in the week we watched KING ARTHUR, which I also sort of liked. The battle on the frozen river was the highlight of the film. Clive Owen was pretty good as Arthur, and I think he could probably play James Bond (since he's rumored to be in the running for that part if Pierce Brosnan doesn't do the next Bond film). I've liked Keira Knightly in everything I've seen her in, too, including the made-for-TV PRINCESS OF THIEVES where she plays Robin Hood's daughter. One odd thought struck me while we were watching TROY: how come Sergio Leone never made a sword-and-sandal epic? Seems like it would have been a natural for him. But then we might not have had ONCE UPON A TIME IN THE WEST, and I don't know that I'd make that trade. "Michael Gruber is a member of the Well writers' group, and I remember well his difficulties on leaving ghosting to go out on his own byline : he would never be able to claim any of his work as a ghost. He's an ethical guy, and plays by the rules. As a ghost, he couldn't 'out' himself. But then a review in Publisher's Weekly 'outed' him. It was, apparently, a complete surprise to him. Gary"
Thanks for the information, Gary. Maybe I was too hard on Gruber in my previous posts, but I was under the impression he revealed the information himself. This whole affair interests me because I'd never even picked up a Tanenbaum book and had no idea they were ghosted. Today, since I was at Half Price Books anyway, I did a little research and checked the acknowledgements in all the Tanenbaum books they had. The earliest one I found was NO LESSER PLEA, from 1988 (the first Tanenbaum novel, maybe; I don't know about that). The first line in the acknowledgements is "My deepest gratitude to Michael Gruber for all his assistance". That's certainly vague and could mean almost anything. But by 1993 (don't recall the title of the book), Tanenbaum refers to Gruber as his "partner and collaborator". In later books he says, "All credit goes to Michael Gruber, whose genius runs through this book" (I'm paraphrasing slightly). So my question is: why the heck was anybody surprised when it came out that Gruber was writing the books? It seems to me that Tanenbaum has been admitting for over a decade that Gruber, at the very least, played a significant part in the writing of the books. Surely Tanenbaum's editors realized the same thing? Any time I see an acknowledgement like that, I strongly suspect that the person being thanked actually wrote the book, or at least wrote part of it. I'm not sure why there was ever a controversy about this particular case. By the way, I bought that copy of NO LESSER PLEA, along with three Silver John novels by Manly Wade Wellman. I haven't posted for a couple of days because I've just been sitting around working, nothing exciting to report. I'm still reading books for the Spur Awards, and I'm not going to comment on any of them, or the contest itself, until I've sent in my nominations. But I'm hoping that will be coming soon. The new year has brought the loss of a couple of great artists, as many of you no doubt already know. Will Eisner and Kelly Freas were both favorites of mine. Back in the Seventies, Warren Publishing, which put out oversized, black-and-white horror comic books like VAMPIRELLA and EERIE, began reprinting some of the Spirit comic strips from the Forties that were written and drawn by Eisner. Eventually Warren gave the Spirit reprints their own series. I read all of these and loved them. Last year I read THE SPIRIT ARCHIVES, a hardback collection of the first stories from the series, and while these aren't as good as the later ones, they're still wonderfully entertaining. Eisner also created the long-running comic book BLACKHAWK, which went through dozens of incarnations over the years but none that ever topped Eisner's original. As for Kelly Freas, I'd hate to have to count how many SF paperbacks and digest magazines I have that feature his cover art. He was one of the true giants in that field. Today was spent rounding up some research books at the library and taking care of other errands. I also worked on my zine for OWLHOOT, the excellent Western apa headed up by Cap'n Bob Napier. Which reminds me I should mention that text-only, minus-the-mailing-comments versions of all of my previously published zines for OWLHOOT and PEAPS, the pulp apa, are available via email to anybody who's interested. Some of the material has already been posted on various lists or published in Steve Lewis's wonderful magazine MYSTERY*FILE, but some of it hasn't seen the light of day outside the apa memberships. My friend Juri Nummelin, publisher of the Finnish magazine ISKU, has started a blog. Juri is very knowledgeable about books and movies and I'm sure he'll have plenty of interesting things to say. In the Blatant Self-Promotion Department, nice things are said about me today on Ed's Place and Sarah Weinman's Confessions of an Idiosyncratic Mind, and I certainly appreciate the comments. Lee Goldberg asks in his comment below, "So, James, what's your take on Michael Gruber telling everybody that he's been writing all of Robert Tanenbaum's books?" I don't know the details of the contract(s) between Gruber and Tanenbaum, but if Gruber agreed that he wouldn't reveal he was writing the books, then he shouldn't have revealed it. I understand the frustration he must have felt -- I once ghosted a book that got glowing blurbs from big-name folks who never would have blurbed a book with my name on it -- but a deal's a deal. Of course there are varying degrees of secrecy on these things. Some of my house-name Western contracts say that I can't publicly claim authorship but that I can use the books as professional credits within the industry. And things change over time, too. I've done books where my participation was a total secret at the time the book came out, but then later the author I was working for decided it was all right for me to claim the book. A lot of these deals are "secret" in name only, especially within the business. Most people knew, or at least strongly suspected, that Ron Goulart was writing those TekWar SF novels published with William Shatner's name on them. Goulart never came out and said as much, though, at least that I'm aware of. From what I've heard about Tanenbaum's recent books (I haven't looked at them), he thanks Gruber in ways that would make it obvious to people in the business that Gruber really wrote the books. Oddly enough, knowing about this whole controversy has made me more likely to read some of the Tanenbaum books, which I probably wouldn't have otherwise.